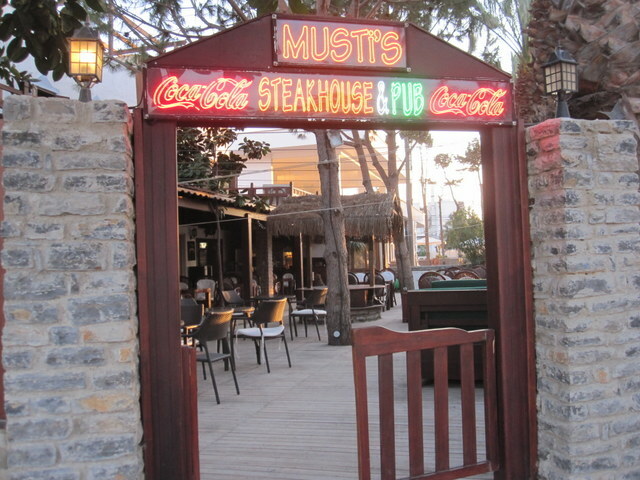 We read about Musti’s Steakhouse in Yalikavak on ‘Trip Advisor’ and thought we’d give it a try. The restaurant had lots of good write ups. As you’d expect there are plenty of excellent fish restaurants all along the peninsula, but a really good steak is harder to find. Musti’s exceeded our expectations. Our orders were for a medium rare and a medium steak and that was exactly how they came. A variety of home-made sauces were on offer. We chose pepper sauce which was excellent and side dishes of fresh vegetables, hand cut chips and garlic potatoes were all beautifully cooked. We asked our waiter for recommendations of red wine and he said he had one which was ‘perfect’. We were both surprised how good it was! Prices were reasonable. They also serve Guinness. You’ll find Musti’s beside the marina*, just a few minutes’ walk from the bustling heart of the town. We sat in the shady garden as the sun was setting over the sea. 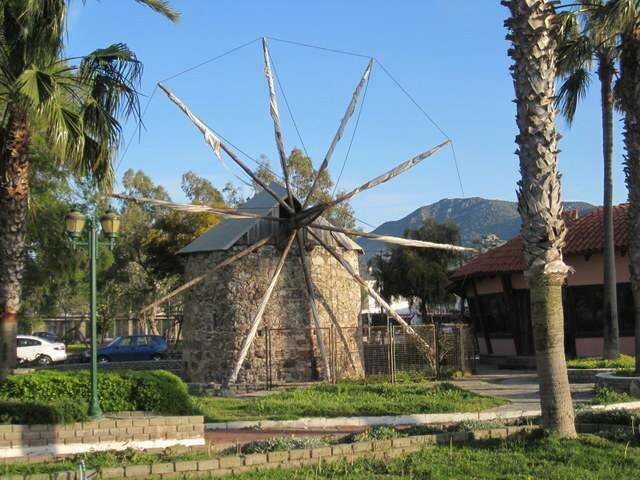 *From the large windmill beside the harbour it’s less than fi ve minutes’ walk to Musti’s. Turn towards the new marina (sea to your right). When you reach a large bronze statue, Musti’s is over the road to your left. 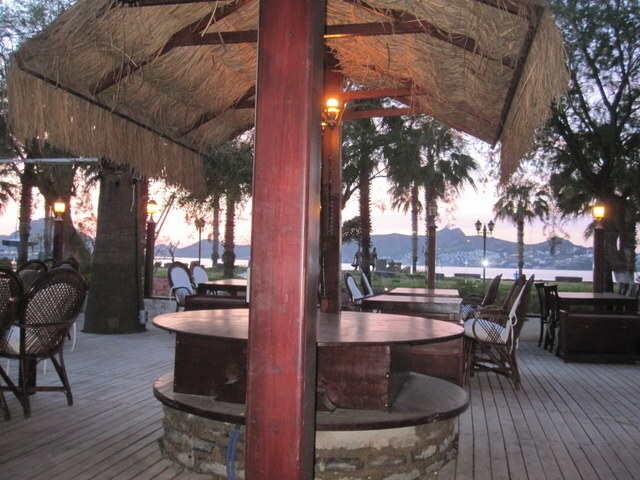 This entry was posted in Activities, Food and Drink and tagged Activities, Bodrum Peninsula, Food and Drink, Guinness, Restaurants, Steak, Yalikavak by Val Smith. Bookmark the permalink. Sadly the restaurant is under new management and although it still offers steaks, I do not feel able to recommend it. It now has a new name… Can’t remember it something like Murco and it advertises itself as a Jazz spot.